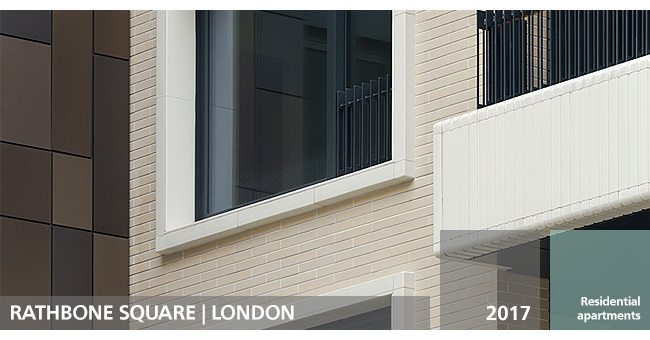 A Great Portland Estates mixed use development just north of Oxford Street. 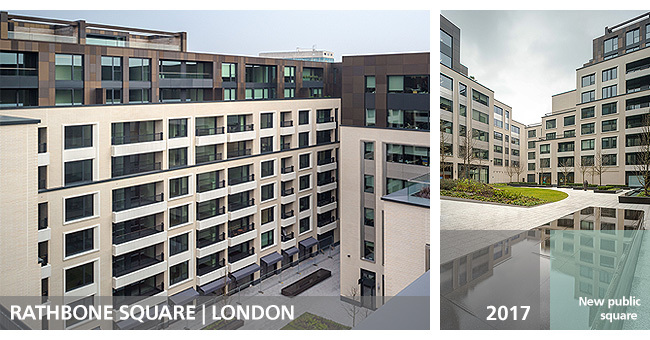 Rathbone Square provides 140 private residential apartments and 242,800 sq ft of Grade A office space, all seamlessly stitched into the heart of London. Schneider has designed, supplied and installed all aluminium window systems to the residential apartments and the aluminium unitised curtain walling to the office block. 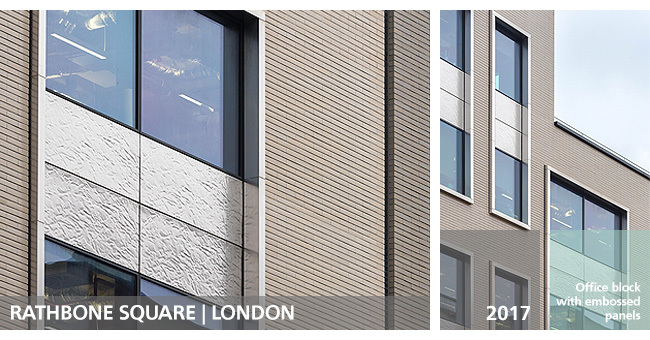 Also within Schneider’s scope has been the aluminium rainscreen which is anodized to bespoke bronze colours in the full variety of Make’s design intent.